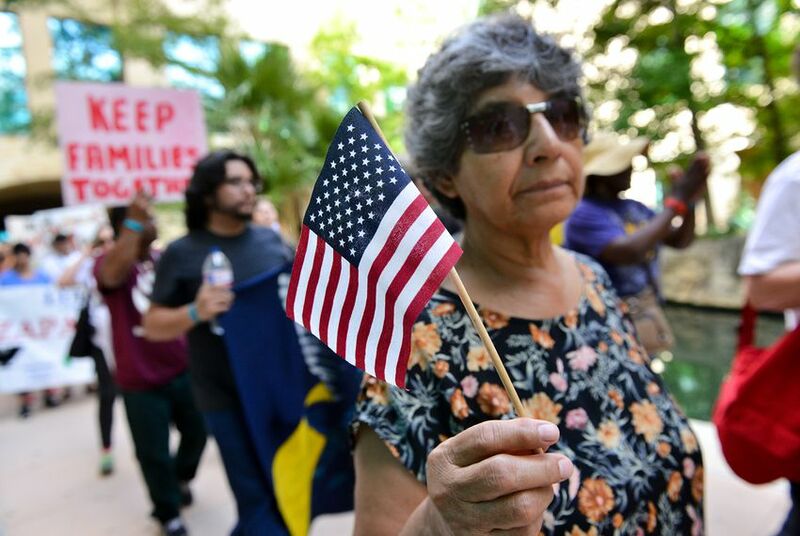 “We estimate those costs as they relate to jobs, earnings, taxes and GDP if 10 percent of undocumented immigrants were to leave Texas,” the group said, calling that 10 percent figure a conservative estimate. The group analyzed the top 10 industries that benefit from undocumented labor and used Harvard University economist George Borjas' undocumented population analysis in its research, according to the methodology outlined in the study. Supporters of the legislation argue it's needed to prevent local law enforcement officials from providing a safety net to deportable and violent undocumented immigrants who have already been charged with crimes. But opponents — who are keeping their fingers crossed that a judge will halt the measure before it takes effect — say it's a racial-profiling bill that's similar to Arizona's "show-me-your-papers" law. The economic argument isn’t a new one for opponents of the law; several Democratic state lawmakers tried and failed to convince their colleagues of its merit during this spring's regular legislative session. State Democrats also called for an update to a study released in 2006 by former Texas Comptroller Carole Keeton Strayhorn. That analysis showed that undocumented immigrants who lived in Texas in 2005 added $17.7 billion to the state's economy. “Each of you standing with us have a big job to do," said Ramiro Cavazos, the CEO of San Antonio’s Hispanic Chamber of Commerce. "And that it is to protect this economy for our children and our grandchildren."